Good morning all! It must be the week for clearing out my drafts folder, because I found another old post that I’m sharing with you today. 🙂 This was a gift from a Hobby Polish Bloggers gift exchange awhile back and shame on me for not sharing it sooner! LAC – My Mani? is an off-white creme polish. This is 2 thick coats, and I still had trouble with it leveling out. Rouge 66 is a bright, cherry red polish. This is 2 coats, and it has a thin formula. Note: it did not stain my nails, but I didn’t have it on for long. So Berry On Trend is a purple-ish red polish. Really lovely color! This is 2 coats. Careful, It’s Vine-tage is a gorgeous polish that I could NOT get a good picture of. This is the best of the worst, basically. LOL. It is more red-toned than my pictures could pick up. This is 2 coats. 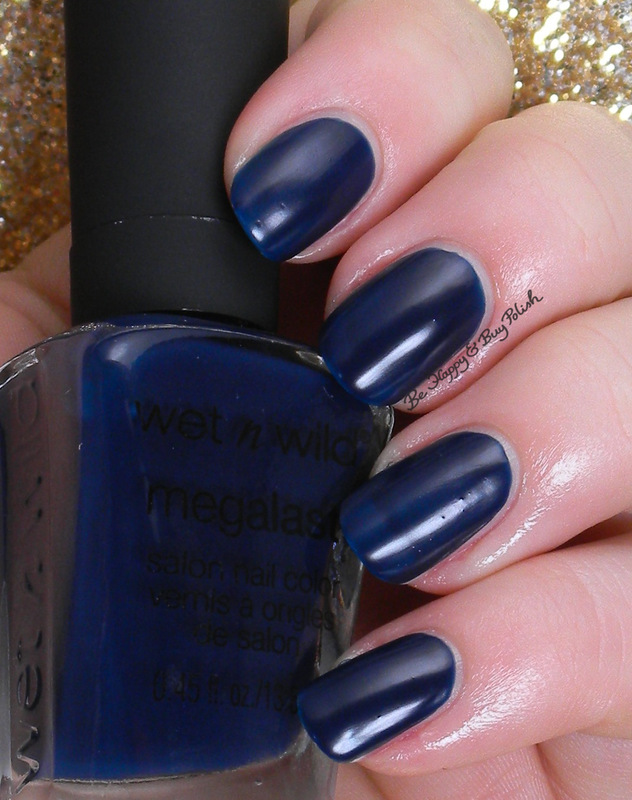 Last is Echo Dark, a navy blue polish. This is 2 coats. As you can see, all the polishes have a waxy finish, but the colors themselves aren’t particularly unique. Still, though, my favorite is Rouge 66 – I just love that bright red! Did you ever pick up any of these polishes? Let me know if you did, or which is your favorite! My Mani is pretty. I like that it’s a nice blank canvas type polish! My favourite is So Berry on Trend! That’s so gorgeous!